Over the multiple installations of our Forever 21 new arrivals stories, it's safe to say that we know a good Forever 21 item when we see one. This week, the retailer rolled in pieces fashion girls are going to flip out over. In other words, they are about to be everywhere. So what does this mean for you? You better get your hands on them ASAP. This week, we are fawning over sweaters aplenty, faux-fur coats, and multiple shoe styles. As we are in the middle of the fall season, quickly approaching winter, investing in seasonal favorites is definitely a good idea. Whether it's a trend-influenced piece or one you'll wear for years on end, we are pretty sure you'll be satisfied by the shopping selection ahead. Scroll down to shop the Forever 21 items that are about to blow up! Ankle straps and block heels always go hand-in-hand. Why not add another off-the-shoulder to your collection? This denim jacket looks perfectly lived-in. You can never have too many pairs of skinny jeans… especially at this price. 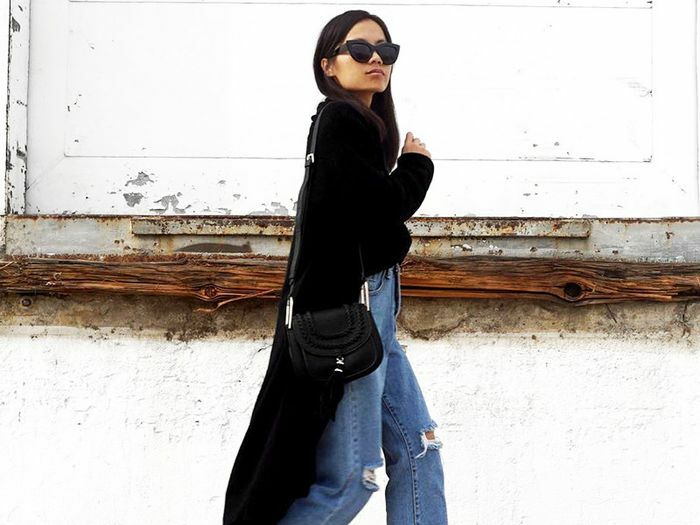 Velvet booties are continuing to win our hearts. Pair this sweater with a denim skirt and white sneakers for a cool, everyday look. A faux-fur stole is the accessory to have this winter. Strut your stuff in this timeless piece. No matter the season, this jumpsuit will make for a great layering piece. Check out the outfit combination everyone will be wearing this winter.